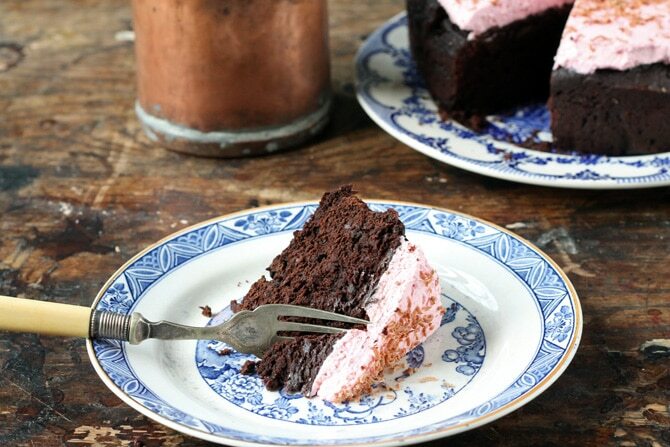 This beetroot chocolate cake is made in a slow cooker! Slow cooking the cake gives it a rich, fudgy texture, that perfectly matches the decadent cake with earthy beets. Crock-Pot recently got in touch and asked me to come up with a recipe using a slow cooker to help them celebrate #Crocktober – their month of celebrating all things slow cooking. Slow cookers certainly aren’t just for meat. Vegetarians can absolutely make great use of them as well, from chili and curry to soups and beans. 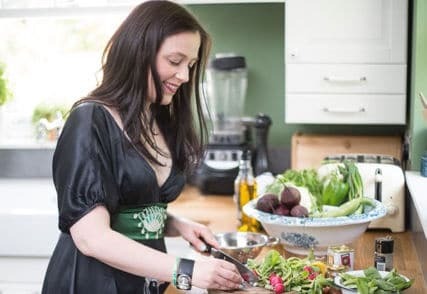 I’m a huge fan of veggie stews, particularly at this time of year when the leaves blow through the air, but this time I wanted to get back to my veggie desserts roots and slow cook a cake. A chocolate beetroot cake. 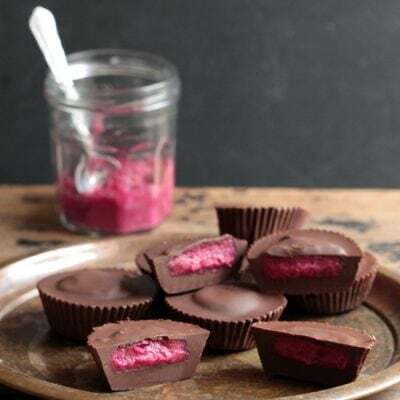 Beets and chocolate are such a wonderful combination. Now almost as ubiquitous as the humble carrot cake, this vegetable cake is no longer considered strange, which pleases me very much. Slow cooking this chocolate beet cake gives it a rich, fudgy texture that matches the earthiness of the root vegetable hidden within. I’ve kept the cake fairly low in sugar so that I could top it with this whipped vanilla cream, made pink with beetroot juice. 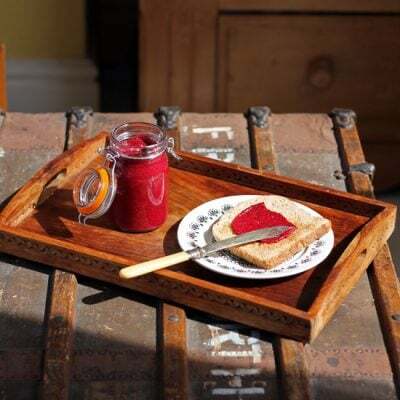 The very subtle flavour of the beet juice tastes lovely with the vanilla and the lightness of the cream lifts the intense cocoa flavour of the cake. 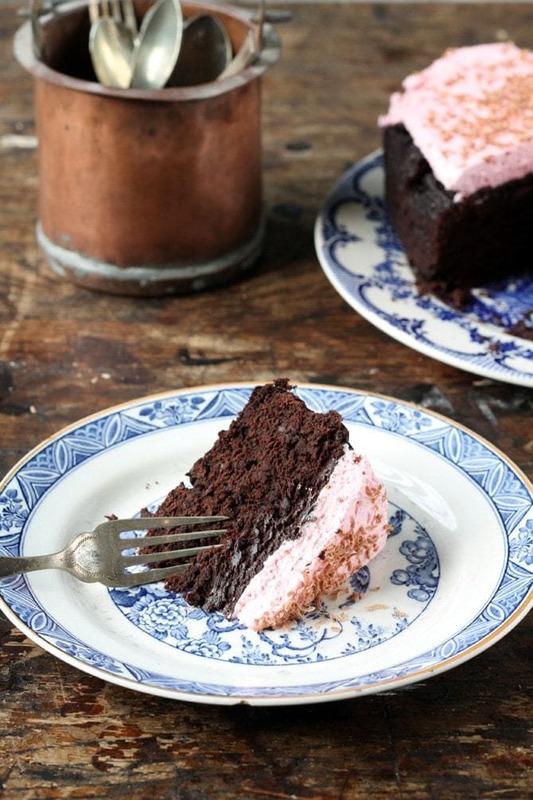 A rich and fudgy chocolate cake with beets made in a slow cooker. 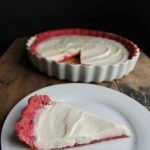 It's topped with a beet and vanilla flavoured cream topping that adds a subtle sweetness. Line the bottom and sides of the 3.5L slow cooker insert with baking paper and spray with the cooking oil. 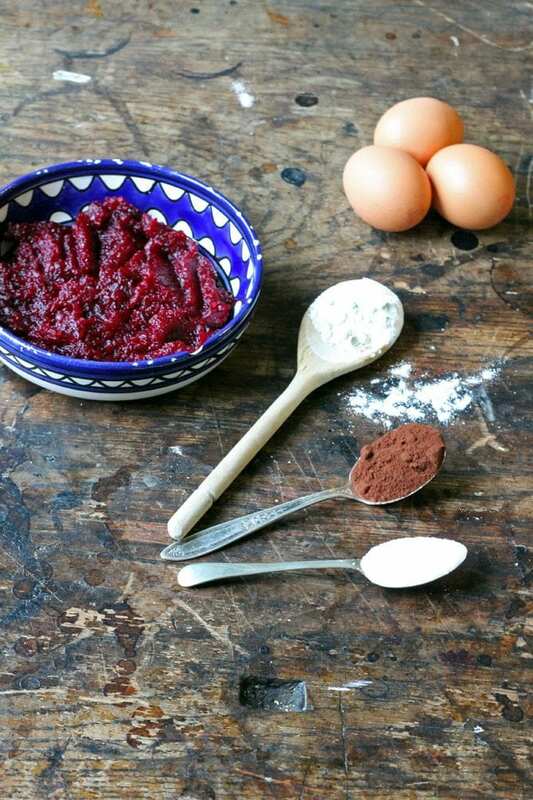 Puree the beetroot, then, in a large bowl, stir together the pureed beetroot, melted butter, sugar and vanilla. Add the eggs, one at a time, and stir each one in well. In a separate bowl, stir together the flour, cocoa powder, baking powder and salt. Pour the dry ingredients into the wet and gently stir to combine, being careful not to over-mix. Spoon the batter into the prepared slow cooker insert. Using a wet spoon, spread the batter to the edges and level evenly. Put the lid on the slow cooker and set to low for 2 ½ hours. When cooked, let the cake cool slightly in the insert, then carefully remove and allow the cake to cool fully on a wire rack. Top with the beetroot vanilla topping and grated chocolate. Whip the cream and sugar together until thick. Add the vanilla and beetroot juice and whip again until all combined. Disclosure: CrockPot commissioned this recipe post and sent me a slow cooker to use. All opinions are my own. WOW!!! This recipe looks amazing. I am definitely saving this to try with the beets we are growing in the garden this year. I used chocolate made by a friend of mine. 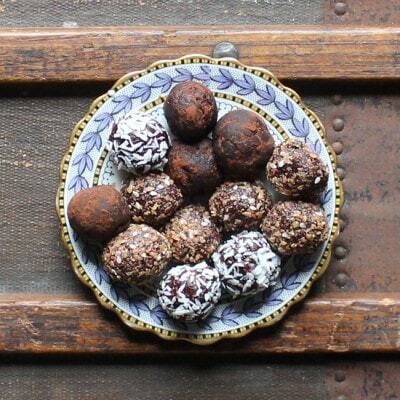 It’s made from organic raw cacao and very rich with hawthorn berries and rose hips– all organic. I didn’t make the icing but topped it with local lemon ice cream. It was so delicious. I think you are a genius. I am trying the nettle cake next. You mentioned a cake insert to bake the cake in. where can you get the insert? Hi, it’s just the insert/bowl that comes with the slow cooker. Where you’d put any ingredients. Does that make sense? So hard to describe in words! Hope that helps and happy baking ? This is a gorgeous cake, I’m a huge fan of beetroot and your cake is perfect, especially the pink icing. Thanks for joining us for the Slow Cooked Challenge. I think my slow cooker is too big 🙁 I can’t imagine it’s the right size for sure – now I need a new slow cooker OMG lol!!!! I wonder if I can cook it in the oven for now? Is that possible Kate? I used a 3.5L slow cooker for this. Just stick the batter in the oven and check it frequently. I hope it still works. It should, really, as it’s just a cake batter. It may turn out more like brownies in the oven? Fingers crossed! This cake looks amazing! I love chocolate cake, and I can tell from the photos that this one would be sooo moist. Yum! I have never done a slow cooker cake before, but I actually pinned loads yesterday to try, so this is being added to the list too. I need to try a beetroot cake too. I would never think about cooking a cake in a slow cooker – what a fab idea. Hoping I will have an excuse to try this out soon. 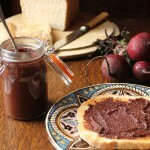 I love chocolate and beetroot together! I did some beetroot fudge years ago but never tried a cake. Love the pink icing! 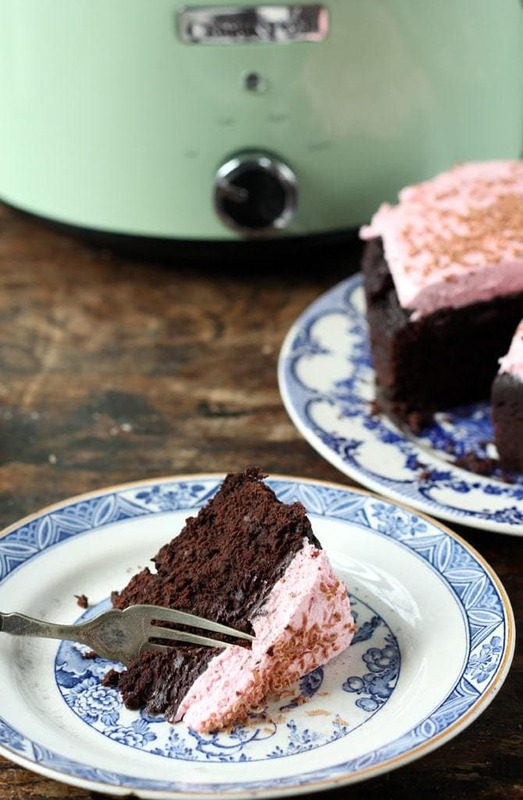 we LOVE beetroot cake and to make it in a slow cooker? Well that sounds fantastic. 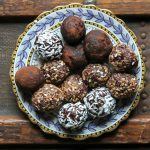 I’ve added it to my ‘one day recipes’ list – thanks so much for sharing! Your cake sounds delicious, I always slow cook mine on high to get them to rise but may have to try on low! Loving the beetroot in there. That looks amazing!! 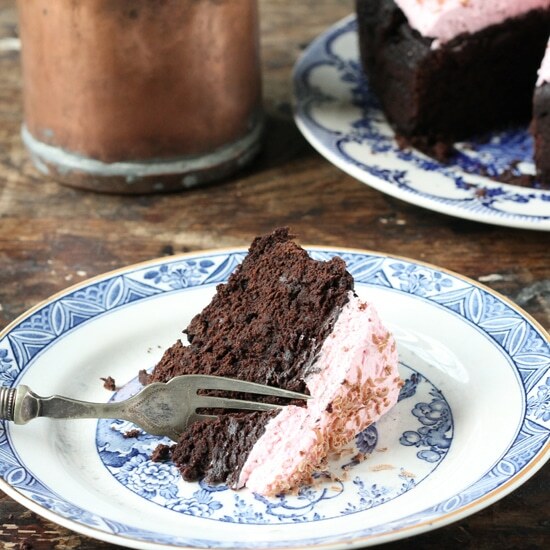 I have always wanted to make cake in the slow cooker but never got a chance, yet… and I love beetroot chocolate cakes so this recipe is just perfect for me. That looks so pretty with the pale pink cream next to the intense dark chocolate cake. I’ve never slow-cooked a cake but it looks like they come out wonderfully. Ooh, that cake looks delicious and I just know that being slow cooked it will be all moist and wonderful inside. 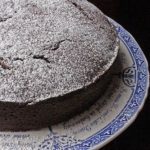 I have never baked a chocolate cake with beetroot, but this recipe looks like a great one to start with! It sounds a little strange to be putting beetroot in a cake, but then you mention carrot cake which I adore, so maybe should give it a try – it certainly looks delicious.